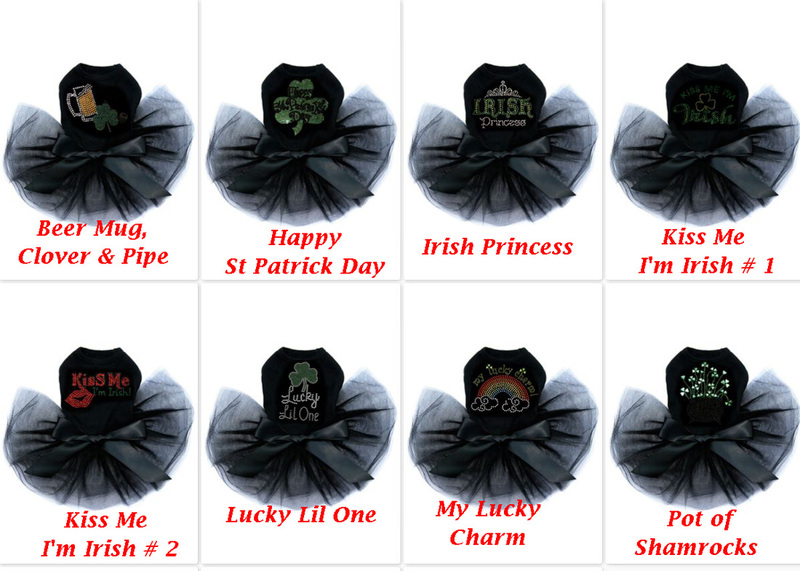 Our gorgeous rhinestone St Patrick Day Tutu are perfect for your Dogs. 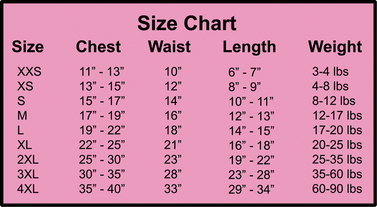 Please use the waist measurement when ordering our skirts. The skirts need to fit tight so do not go up a size when ordering our skirts. Skirts all have Velcro closures and will adjust larger than the size on the chart but will not adjust smaller. For example, if your dog measures 14” in the waist (Size S) but you think she will need it to fit at 13.5” to keep it from slipping, please order the Size XS. Ribbon Color Choices: White, Black, Red, Blue, Pink. Green, Emerald Green, Orange.